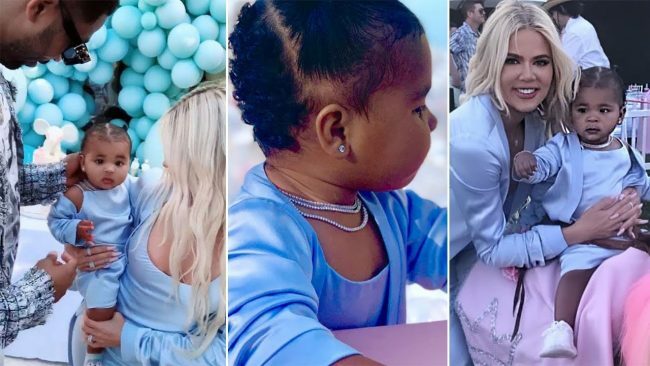 It has been reported that Khloe Kardashian and her famous family ignored Tristan Thompson at baby True’s 1st birthday party which took place on April 14, 2019. The insider said that Khloe did not tell her family Thompson was going to be at the party. Initially, it thought he would not attend because the family despises him for cheating on Khloe. The source said nobody knew what to do or how to act when he was there, as they were all disgusted by him. He did not stay long and was ignored the entire time. Twenty-eight-year-old Thompson has not seen his daughter since he cheated on 34-year-old Khloe with Kylie’s former best friend 21-year-old Jordyn Woods over Valentine’s Day weekend. Despite all the issues Khloe and her family have for Thompson, they did pose for pictures together with True. A source told Radar Online, Khloe still has an obsession for Thompson and would consider resuming their relationship. However, the source continues; the Kardashian family will never accept him. The Kardashians accept Thompson is the father of True, but he will never be accepted into the family, or welcome into their homes, except for Khloe’s. Also at the party was Caitlyn Jenner, which meant a great deal to Khloe. Caitlyn and Kris were able to get along fine.